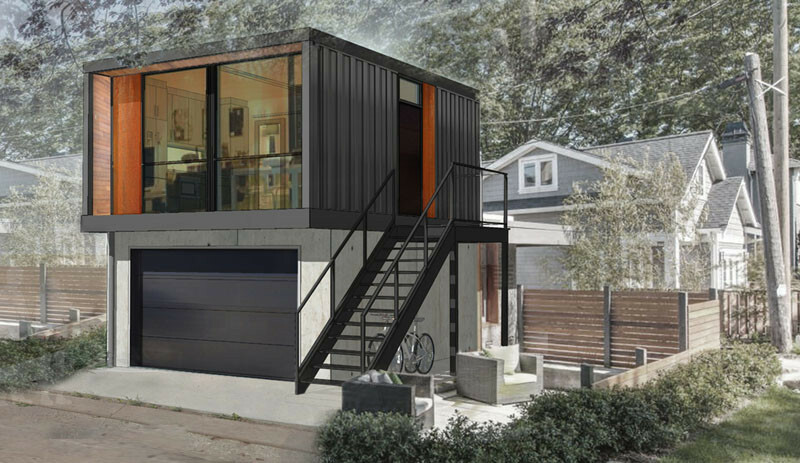 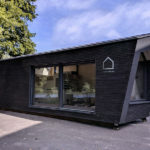 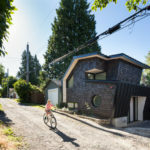 A Canadian company called HonoMobo, have designed a new collection of living units made from shipping containers that can fit on top of a garage, making it possible for home owners to add additional living space to their home, or create a rental property for some extra income. 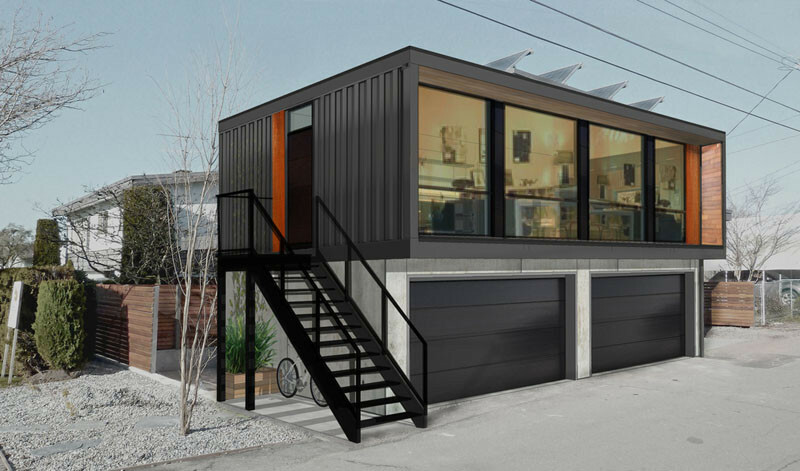 The studio unit is a small 532 sq ft space with an open floor plan. 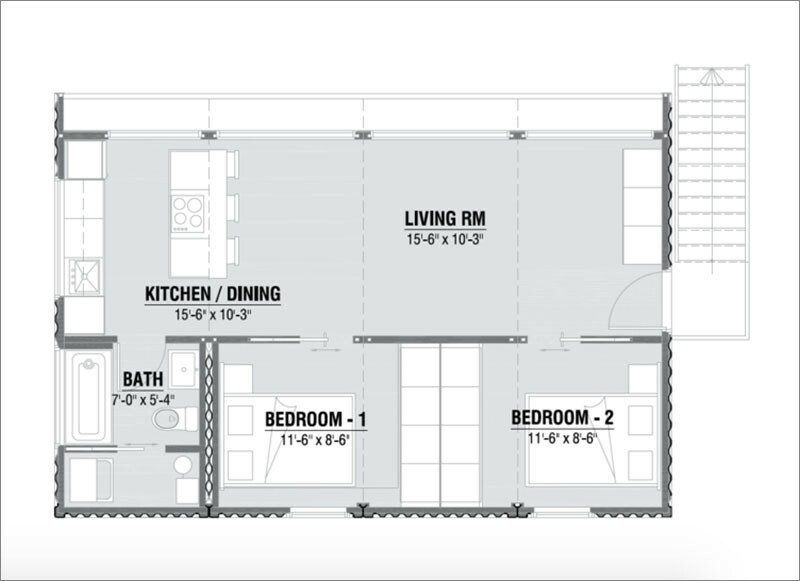 Here is the floor plan for the studio unit design. 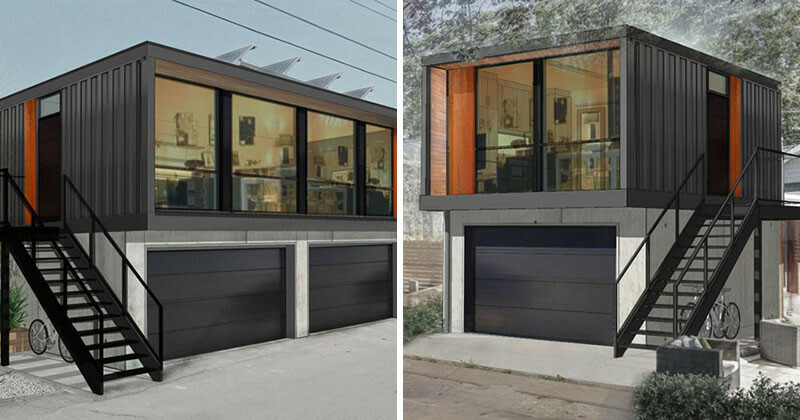 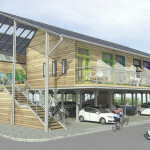 Their next design, is their large 640 sq ft unit with two bedrooms, that fits above a double garage. 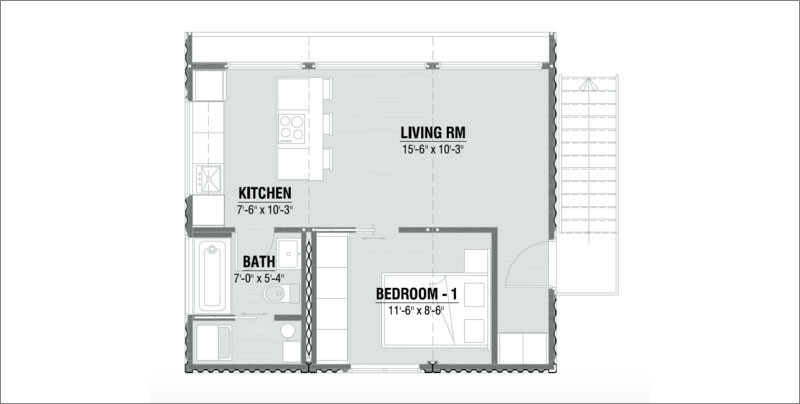 The floor plan for the two bedroom unit. 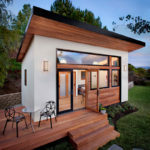 The company also does smaller backyard cottages, like this single bedroom unit, that measures in at 528 sq ft. 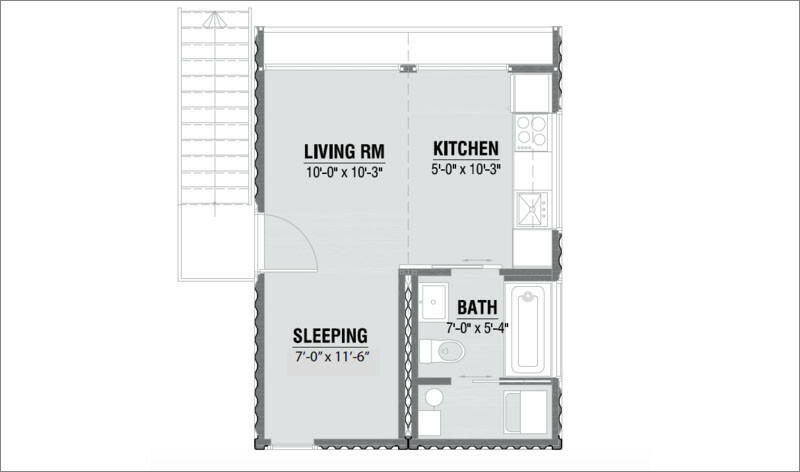 This is the single bedroom unit floor plan.